World’s most beautiful Wastewater Treatment Plant – Shows you how to live. Let this wastewater treatment plant show you how to live. 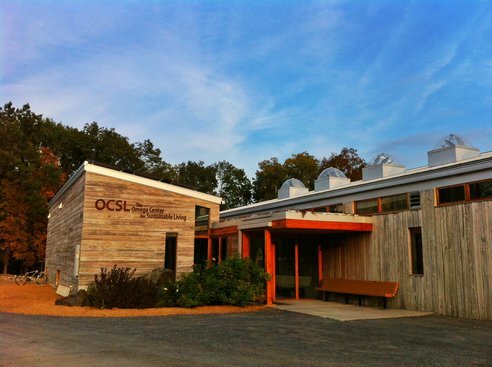 This may sound crazy, but it is exactly why the Omega Institute for Holistic Studies in Rhinebeck, New York constructed their Omega Center for Sustainable Living(OCSL), also known as the Eco Machine. We can learn some valuable lessons from this building. 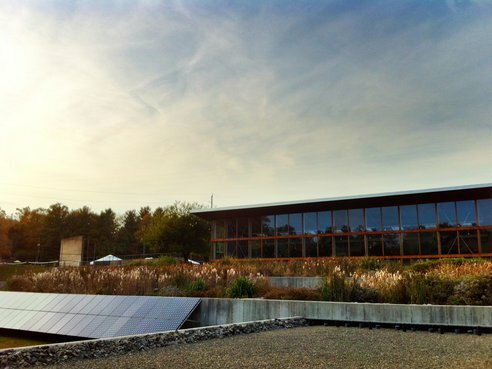 The Omega Center for Sustainable Living may be the most beautiful wastewater treatment plant in the world. It is powered by solar and geothermal power, so it requires no additional power to operate. Unlike other wastewater treatment plants, the OCSL does not use chemicals to treat the water, but rather mimics the processes of the nature world, such as using a combination of microorganisms, algae, plants and gravel and sand filtration to clean sewage water and return clean drinkable water back to the aquifer. In addition to doing all of this, the OCSL also functions as a classroom, to help educate and inspire people about the power of nature to provide solutions. As the CEO of the Omega Institute, Skip Backus says, the OCSL purifies, beautifies and educates, all at the same time. Currently, there are only four Living Building Challenge Certified buildings in the world and the OCSL is the first building in the United States to gain both LEED Platinum and Living Building Challenge certification. Second Stage: The water flows to the four man-made wetlands behind the OCSL building. Third Stage: After the water had flowed through the four wetlands, it is already remarkably clean. According to Omega, there is “a 75 percent increase in the water’s clarity and a 90 percent reduction in the water’s odor” just from having passed through the anoxic tanks and wetlands. Fourth Stage: After the wetlands, the water is pumped inside to two aerated lagoons. Fifth Stage: After the lagoons, the water moves back outdoors to a sand filter. Final Stage: After the sand filtering, the water is returned to nature via two dispersal fields under Omega’s parking lot. In the dispersal fields, the reclaimed water is released back into the groundwater table, located below the surface. The reclaimed water is further purified by nature as it trickles down to the aquifer that sits 250-300 feet beneath campus. With this final step in the Eco Machine process at the Omega Center for Sustainable Living, Omega completes a closed hydrological loop in our water use. We draw water from deep wells that tap the aquifer; use the water in sinks, toilets, and showers; naturally reclaim the used water with the Eco Machine at OCSL; and release the purified water back to the aquifer, where the process can begin again.